• Visa requirements: If you hold a valid passport from the UK, USA, Canada, Australia, Ireland and most of the EU then you won’t need a visa to enter Morocco. It is important to point out, however, that your passport needs to be valid for at least six months from the date that you enter Morocco. • Health: There are no vaccinations required prior to travelling to Morocco, and there’s little to concern yourself with whilst you’re over there as the country is clean and sanitary. As with most foreign countries it’s always advisable to drink bottled water rather than tap water just in case, and take the usual precautions against things like stomach upsets and sunburn. • Safety: Violent crime is not a major problem in Morocco but it’s always best to avoid unfamiliar areas after dark and don’t carry large amounts of cash or valuables around with you. Petty crime such as pick-pocketing and bag snatching is fairly common, so be vigilant and look after your belongings at all times. • Political situation: There is a general threat from terrorism in Morocco following the French intervention in Mali. Since 2011 there have been demonstrations and protests occasionally across the country, most of which have been fairly peaceful. You can find out more information from gov.uk before travelling. • When to travel: Spring in Morocco is lovely; very lush and green. Summer and winter can be quite extreme in their temperatures so check the weather for the time of year you wish to travel if you want to avoid scorching heat. 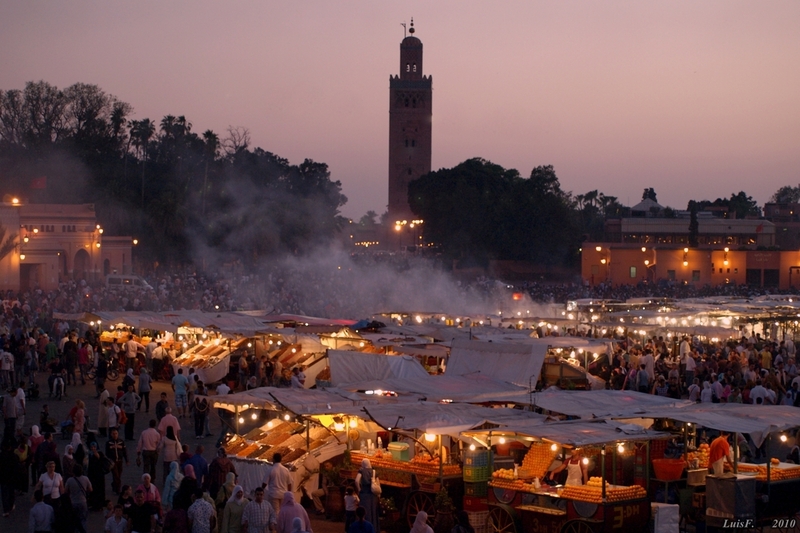 Morocco is a Muslim country which observes the Ramadan festival; in 2015 this falls between June 18th and July 17th. Many restaurants and cafes are closed during the day throughout Ramadan as religious locals will be fasting. • Bartering: Merchants will tend to inflate the cost of an item when dealing with tourists as you are expected to barter with them to lower the price. To avoid being drawn into a barter situation simply say “tan shouf” which means “just looking”; and if the price is too much just politely walk away. Whenever you do buy goods or services it is customary to tip; e.g. taxi drivers, tour guides, restaurant bills etc.